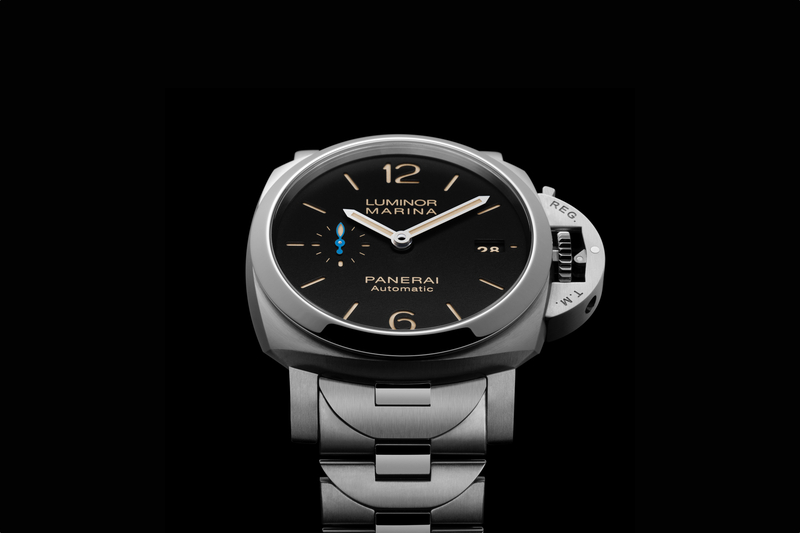 This is Panerai’s new Luminor California 8 Days DLC PAM 779. The 44 mm diameter titanium case has been coated with black DLC (diamond-like carbon). Titanium is ultra-light compared to gold or steel and the coating is highly scratch resistant, which is a great combination of wearability and durability. 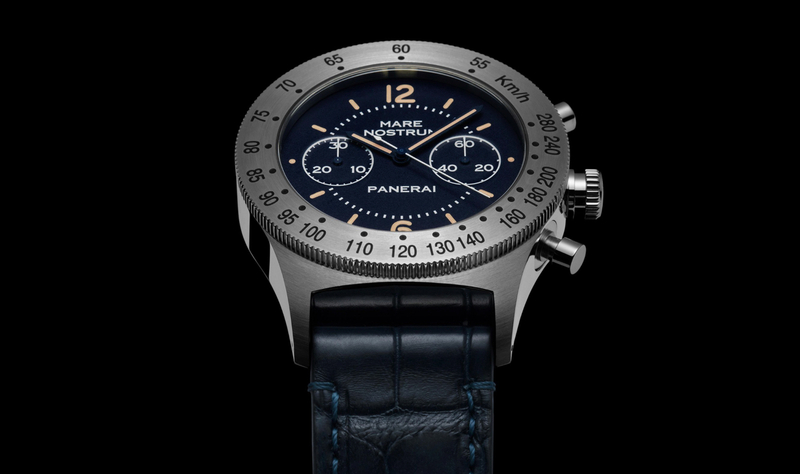 An in-house hand-wound mechanical movement (caliber P.5000) powers the hour and minute hands and features a large 8-day power reserve (192-hours). 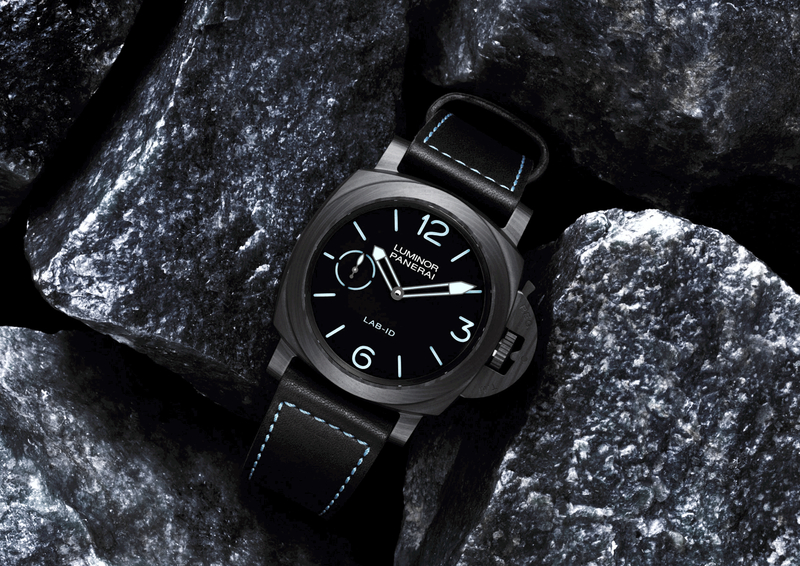 Panerai’s signature crown guard system along with water-resistant gaskets front and back results in an impressive water-resistance rating of 300 meters, although technically speaking this watch does not meet ISO 6425 dive watch standards due to a lack of running seconds and timing device, such as a rotating dive bezel. 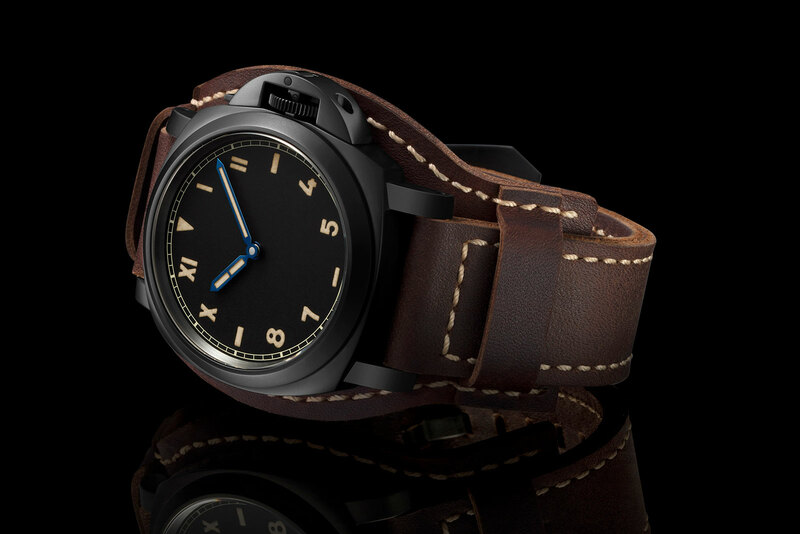 Referred to as a “California dial,” this type of dial has also been used on past Panerai timepieces and was designed with the top half having Roman numerals and the bottom half using Arabic numerals, which supposedly improves legibility. The hour numerals are printed and feature a beige lume. The baton-shaped hands are blued and also have the same luminescent material. A railroad style chapter ring is printed around the perimeter of the dial an a minutes track. The Luminor California 8 Days DLC PAM 779 comes with a cool “Bund” strap which features a more traditional brown leather strap with contrast stitching and then a matching cuff which can be, optionally, removed. Retail is approximately $11,500 and will be available in August 2018.